Camberley Cats Meow : It gets hot in fur! It gets hot in fur! 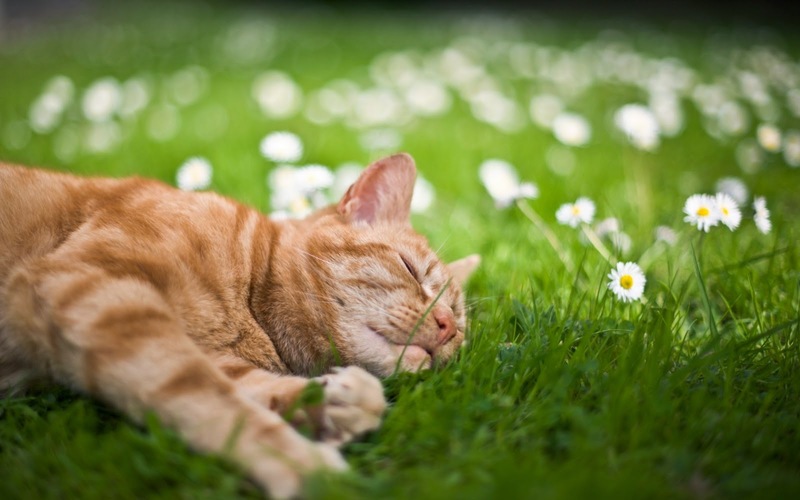 Summer seems to be well and truly here at last and, like us, our cats will be enjoying the long days and warm weather. Read the label on pest control products - Slug pellets which contain metaldehyde can prove fatal to cats (and other animals), so make sure any pest control products are safe for felines. Take care with barbecues - If you are planning to enjoy some al fresco dining during the summer, make sure barbecue coals are properly cooled with water as your cat can suffer nasty burns if he or she jumps onto them once you are finished. Protect your cat from the sun – Like humans, cats can develop skin cancer from too much sun exposure and certain cats, particularly white and pale cats or those with sparse hair on their ears, are more at risk. A high factor sunblock can be obtained, and can be applied to vulnerable areas such as the ears, but owners should be aware that most cats will clean this off, so speak to your vet for advice on an appropriate sunblock. It is best to keep your cat indoors or in the shade between 11am and 4pm when the sun is at its hottest. Fortunately, most cats like a snooze around this time, so provide a quiet spot and a litter tray and your cat is likely to stay indoors. Keep the doors of sheds and greenhouses shut – Be careful not to accidentally trap cats inside outbuildings during hot weather. Ensure your cat has appropriate flea treatment - Fleas thrive in hot weather, so make sure your cat is protected against them. Your vet will be able to advise on what treatment is most suitable for your pet.